You don’t have cellphone coverage—or affordable cellphone coverage—everywhere. That’s why Joel asked if he could download maps when he has Wi-Fi, and use them when he has no access to the Internet. 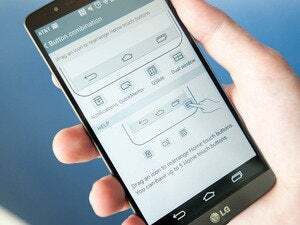 The Android version of Google Maps offers a way to download maps for later use, but it’s limited. In case it meets your needs, I’ll tell you about it. Then I’ll recommend a much more powerful app. With very little effort, Google Maps allows you to save map data for the geography currently displayed on your screen. You can pull the map out any time you want it, even if you’re in the middle of nowhere with a phone in airplane mode. But Offline Maps are limited in size. Display too much area on your screen, and instead of a saved map, you get an error message. 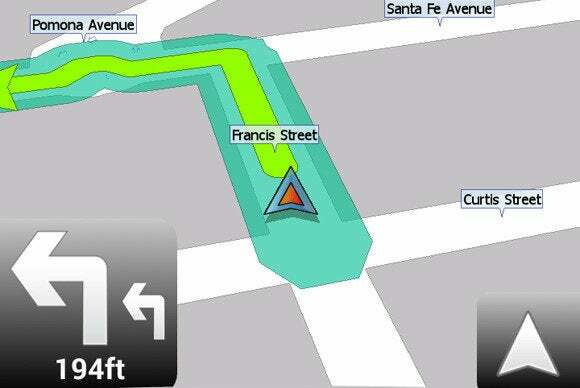 Another problem: You can’t use GPS or navigation tools with these saved maps. If you want to use this feature anyway, get the right map on screen. then pull up the info sheet—that’s the white information band at the bottom of the screen. Select Save map to use offine and follow the prompts. To access a saved map, tap the little menu tab in the lower-left corner. When the menu slides open, tap Your Places (ignore the sub-options below it), and scroll down to Offline maps. But if you want GPS, or if you want more than a few square miles in your map, try MapFactor’s Navigator Free. If offers a huge selection of maps from OpenStreetMap, covering every continent except Antarctica. The only limits are your storage and your time. If you want to download maps of the entire United States, I suggest you plug your phone into AC power and give it a couple of hours to download over Wi-Fi. You can set your mode of transportation for Car, Bicycle, Bus, Pedestrian, or Truck. 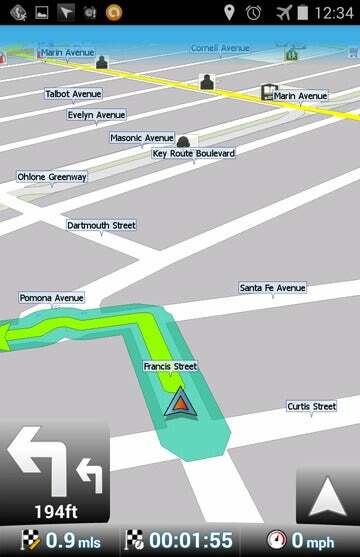 I had no problems with the turn-by-turn GPS instructions—and I did it with my phone in airplane mode. You can bring up route info, save favorite locations, and run its odometer.